Just another favorite of mine that Ez created over on Creature Comforts. Brilliant right? Free download and DIY here. Adorable!!! My hubby would love this- he is definitely a tea drinker. How cute! I have the worst printer but I like the idea of DIY. How adorable is this? I might make a few of these. This is so wonderful. I hope next year I have more foresight for Valentine's Day and can do something cute like this for all my friends. Precious! I actually did some peppermint tea mailers as Christmas cards! I pulled the download from Mrs. Limestone... they were a hit! I love these! They are so cute and easy. Pretty much love it. I'm can't wait to try this. i absoulety love this! 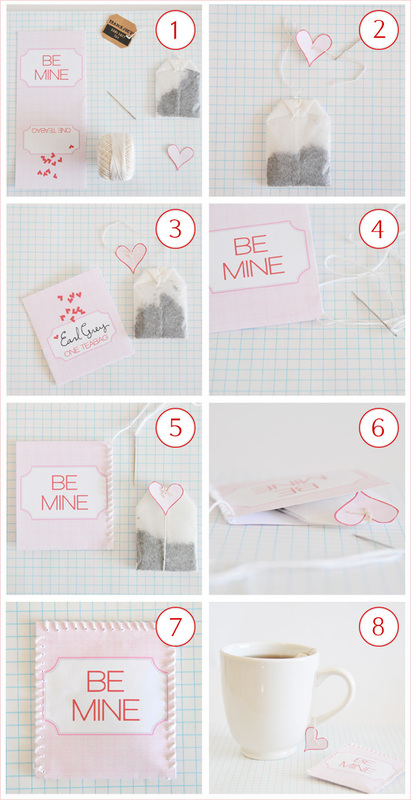 if i find the time, i might need to make one for my sweetie since he is really into his tea right now. :) thanks anna! yes! brilliant. ez inspires! and so you do you! can't wait to see more! Ohhh my goodness this is adorable! :-) great DIY project, will have to do this for some friends! super cute. i love that you could put anything on the end too- not just for valentines. aww this is just darling! how lovely is that! just adorable! and you're right we are not leaving our house right now! sooooo cold! What a cute idea! I do love a good cup of tea, as do several of my friends. Perhaps I'll have to make some last minute Valentines! Um, this is SO friggin' adorable. I am so stealing this idea and also featuring this on my weekly surf for monday!